Welcome to The Camera Map - the innovative resource for anyone looking to hire or buy professional cameras for film, broadcast or video productions. New suppliers added for 2019. Create an organic resource that can be shaped with the input of both users and suppliers. Watch the site grow as Pocket Films implements these key goals and introduces additional features. We welcome your input and comments along the way – do feel free to contact us. In addition, the magnifying glass search at the top of all the web pages provides a quick search of keywords, such as specific camera models that suppliers have highlighted in their inventory. For the most up-to-date camera specifications and availibility, there are web links for all featured suppliers. The map displays red markers for hire options, blue markers for retailers and grey markers for camera brands. For suppliers that hire and sell, their primary focus is picked for the map marker. 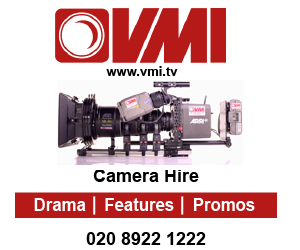 Our aim is to make The Camera Map the most comprehensive list of motion camera suppliers in the UK. On this beta launch, current supporters of The Camera Map have complete listings, other companies have partial listings. We welcome user suggestions for new suppliers including hire companies and retailers. To obtain a free print copy of The Camera Map, send a stamped addressed envelope to Pocket Films Ltd.